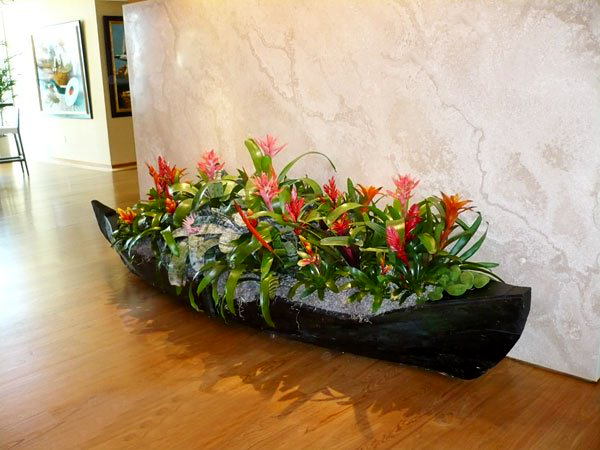 Clearly, FosterPlants™ Residential – Miami interior plant service & maintenance programs aren’t just for any homeowner. You’ve worked hard, and you’ve arrived. We understand completely, your special needs and your concern for the safety and security of your family and home. Accordingly, we won’t send just anyone into your private space to service your account. FosterPlants™ residential Account Specialists are thoroughly screened professionals, who not only take care of your plants, they manage all of your horticultural needs. Our residential Account Specialists on average have been with our company for over six years, some as many as twenty, and they have been thoroughly background checked to ensure your security to the best of our ability. FosterPlants™ residential programs are limited to properties that are staffed and/or accessible for service Monday through Friday and our minimum monthly service fee is $250.00 for residential accounts. Onsite consultation to design a program that will thrive in your space. One complimentary consultation with your architect or interior designer, if desired. Regularly scheduled plant care by one of our Account Specialists. Free replacement of interior plants with our Guaranteed Plant Replacement Plan. Speedy response time in the rare event of a ‘plant emergency’. Just about anything else you may desire. We’ll even bring in the mail if you need us to. Let’s get started. Give us a call on 305.251.7383 to schedule a consultation.